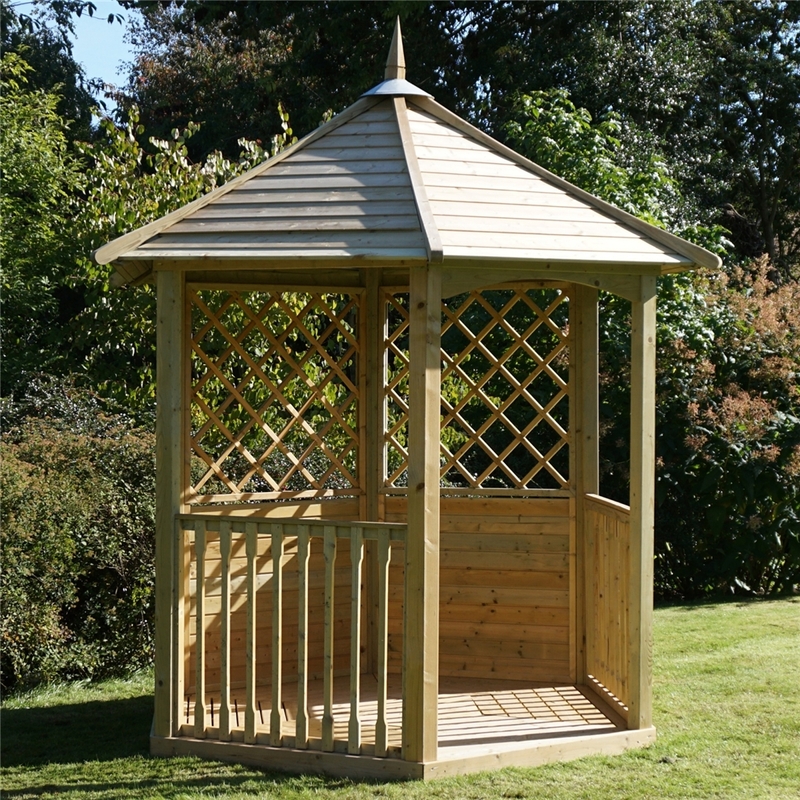 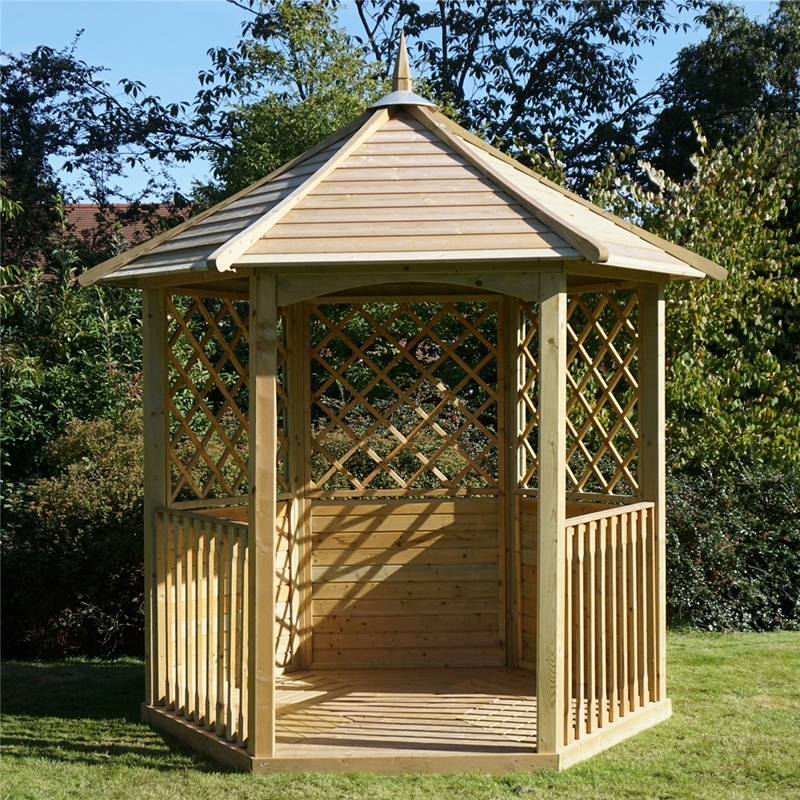 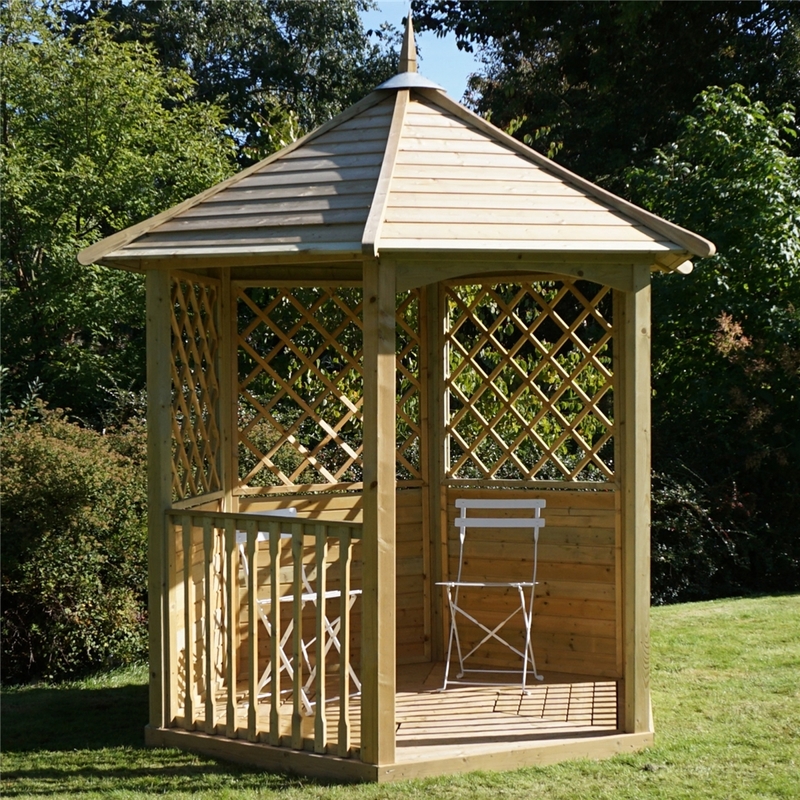 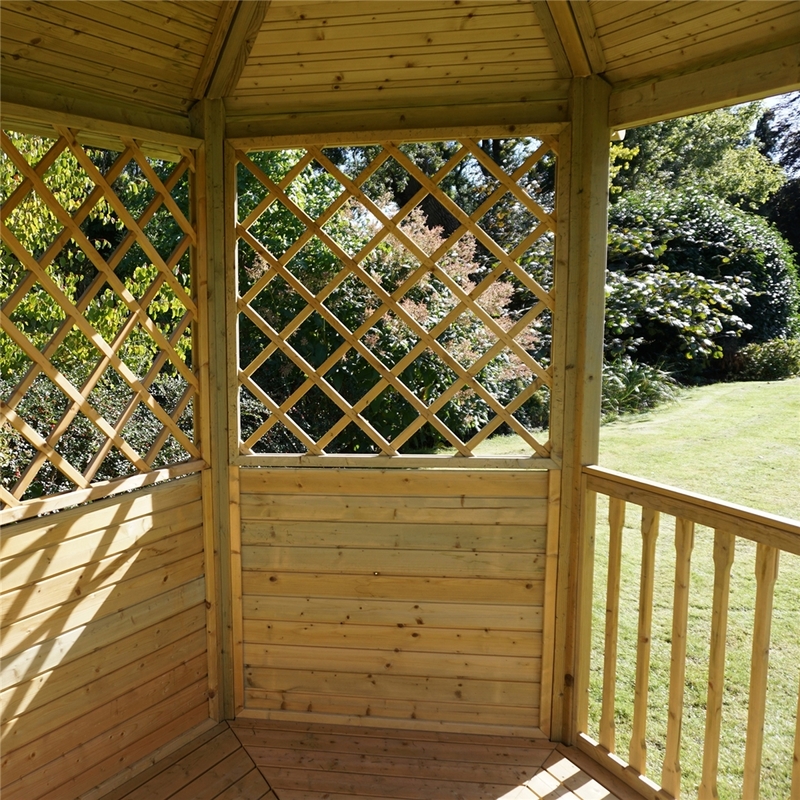 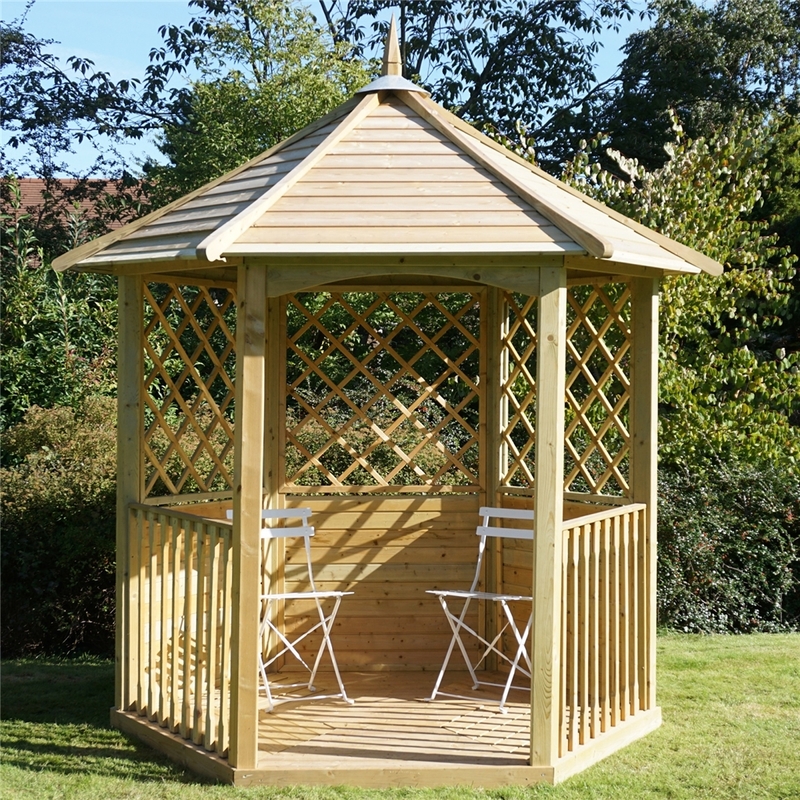 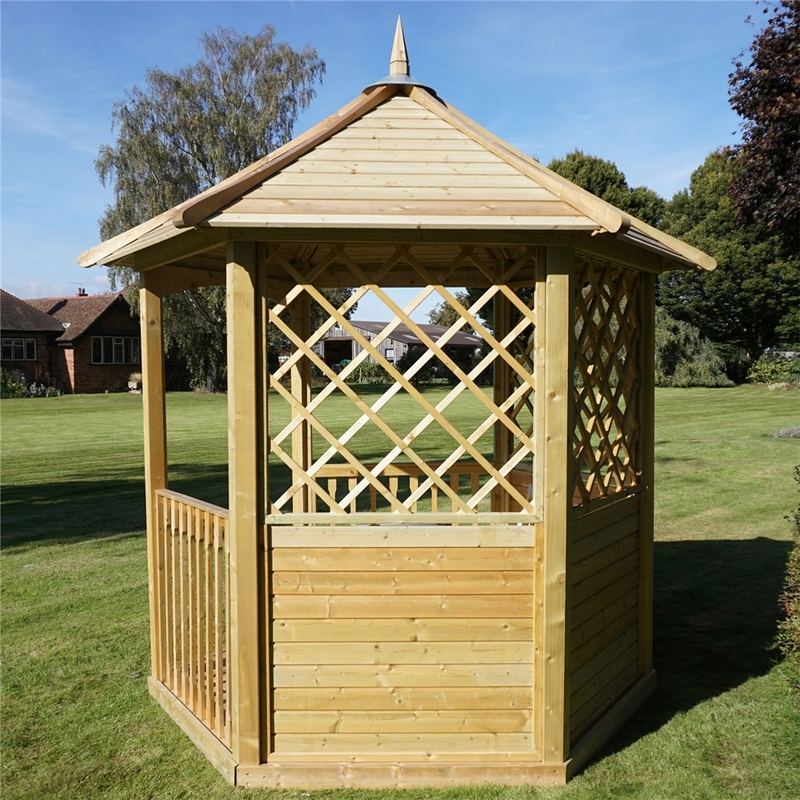 The Diagonal Pressure Treated Trellis Gazebo will be the centre piece of your garden, allowing you to entertain and relax while basking in the summers afternoon. 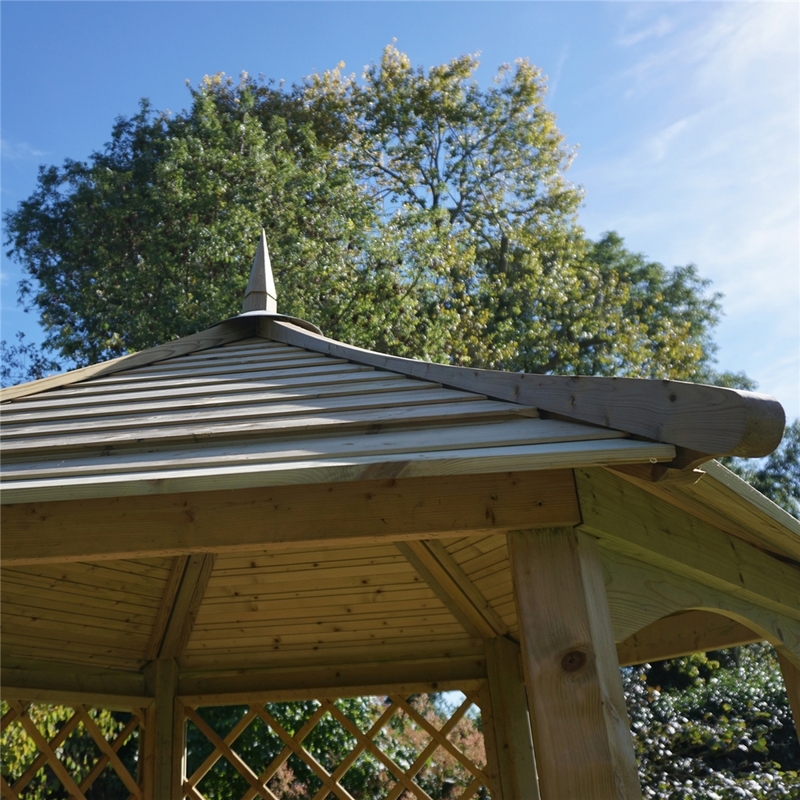 This Gazebo will also double up as shelter in those damp winter months, the 19mm overlap roofing and rain guard allow water to run off effortlessly. 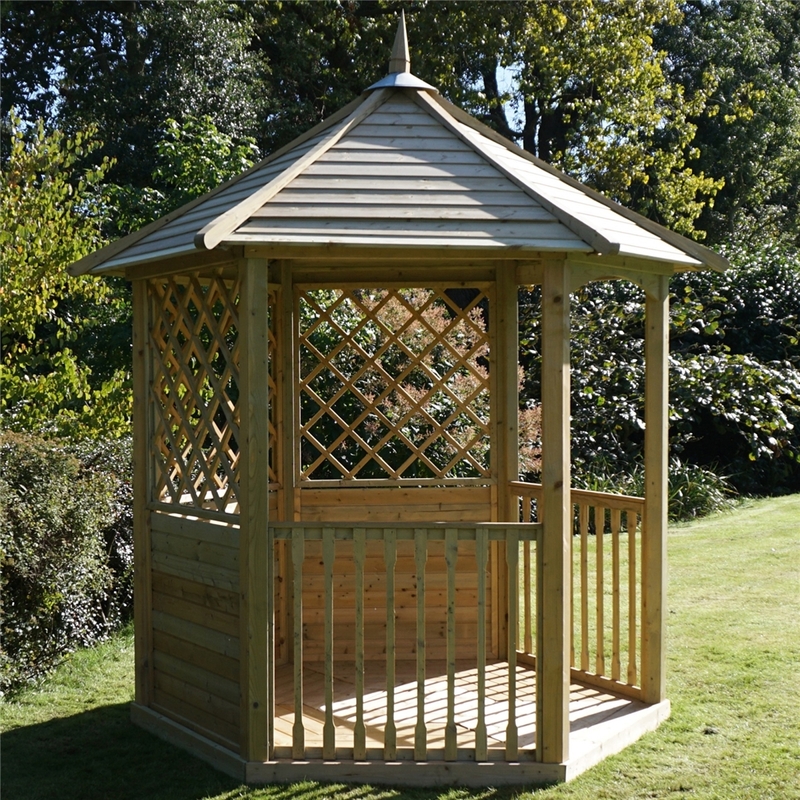 This Pressure Treated Gazebo is covered by a 15 year an rot guarantee.